Best part of city to stay in. Middle price close to interesting sites. I love El Poble-sec mostly because the pinchos are so good and cheap. I don't mind walking and would walk to the sea and everywhere from here. It is a bit hilly, diverse, residential, yet still lively in the evening and easy to grab a taxi. I booked my accomodation in the Eixample area. It is the modern area quite far from the center of the city. Barcelona is well served by buses and the metro anyway. I think you first should understand how Barcelona has come to be. Take the current map of neighbourhoods . 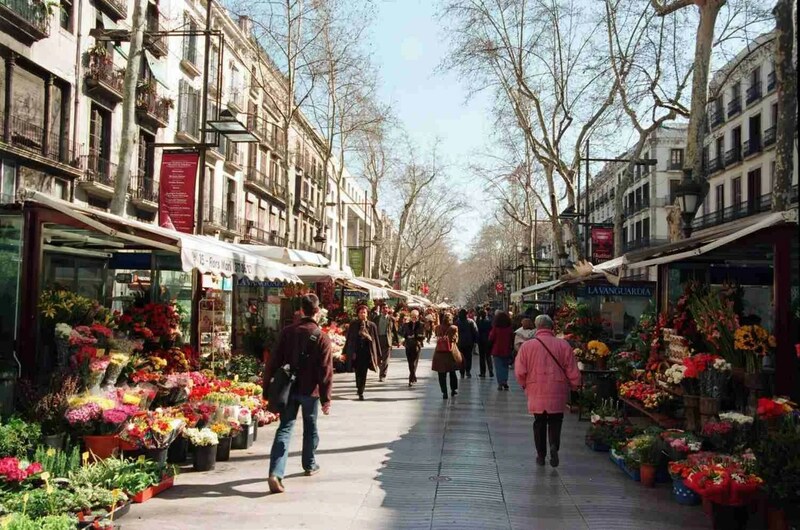 The city was founded in what's today El Gòtic neighbourhood over 2000 years ago. From there it expanded to El Raval, La Ribera, Sant Pere and Santa Caterina and La Barceloneta by the end of the 18th century. At the time, there were already several independent old towns elsewhere in the plain of Barcelona, such as Sarrià -founded around the 13th century-, Gràcia -founded in 1626-, etc. Each one had its own life: stores, taverns, markets, main streets, tree-lined squares that often were the centre of their social life, etc. As most medieval cities, Barcelona was fortified and defended by a series of inner walls and outer walls and several watch towers. When these were torn down, in the mid 1800s, to allow decongesting the overcrowded city, an ambitious expansion plan was devised, the Plà Cerdà, which saw the development of the large district of l'Eixample which linked several of these towns with Barcelona becoming, by the turn of the century, de facto new neighbourhoods of this great city. Finally, during the 20th century, several waves of migrants from Spain came into Catalonia, in the 1920s, then again in the 50s and 60s, and settled around major cities in the region, yet did so majoritively in the city of Barcelona and also in what's today the metro area of Barcelona. This meant new neighbourhoods, such as Nou Barris or El Carmel among others, quickly popped up. All these facts have greatly shaped the fabric of Barcelona. This fact makes Barcelona different from many other cities elsewhere as it didn't grow radially (downtown+suburbs) but by absorption. This results in that nearly each neighbourhood has its own "centre" (downtown) so to speak and it's full of shops, restaurants, etc. Finally, during the 20th century, several waves of migrants from Spain came into Catalonia, in the 1920s, then again in the 50s and 60s, and settled around major cities in the region, yet did so majoritively in the city of Barcelona and also in what's today the metro area of Barcelona. This meant new neighbourhoods, such as Nou Barris or El Carmel among others, quickly popped up. All these facts have greatly shaped the fabric of this city. From a visitor point of view, understanding the history of the city means that one has different possibilities to choose where to stay yet ensuring different experiences altogether without being boring or blunt. El Raval, initially the outer area of the old city, where the lowest layers of society lived, also the garden of the city as it produced most of the fresh vegetables and fruits for the citizens of Barcelona. Once the second wall was erected, protecting this area of the city, it evolved into a new neighbourhood, which harboured one of the first hospitals (as such) in Europe, the Hospital de la Santa Creu (est.1401) which today hosts, among other, the National Library of Catalonia, the Royal Academy of Medicine of Catalonia and the famous Massana Design School. From the late 1800s and until the late 20th century, this district has been the "red light district" area of the city, especially during the 1960s-1990s when the problems with prostitution and drug trafficking were notable. These days, the area continues to host some of these activities alongside a large migrant population mostly African and Middle Eastern. Yet El Raval is -has always been and will probably continue to be- one of the areas to go out as it's full of small restaurants, bars, joints and the like. Every Friday and Saturday the area gets filled with Barcelonians going out. El Raval is not unsafe per se, but it can be unsavoury at times, especially the lower part of the neighbourhood. Les Rambles... obviously one of the most famous boulevards in the city. I don't want to queer anyone's pitch but Les Rambles is no longer what it had been for decades, if not centuries, when was one of the main places in the city. Barcelonians of all walks of life mingled to get their fresh food in the markets, attended its opera and the theatres, strolled to see and be seen, etc.... but that's now pretty much over. For the past say, 20 years, Les Rambles has degraded to an overcrowded boulevard flooded by zillions of tourists, full of tacky souvenir shops selling cheap Chinese-imported crap and bars with terraces offering unpalatable food and even worst booze at outrageous prices. Some of the most iconic stalls and shops in the boulevard are now almost all gone. Take for example the florists, there was a time in which dozens of stalls filled Les Rambles with a beautiful multi-colored landscape and a magnificent fragrance. 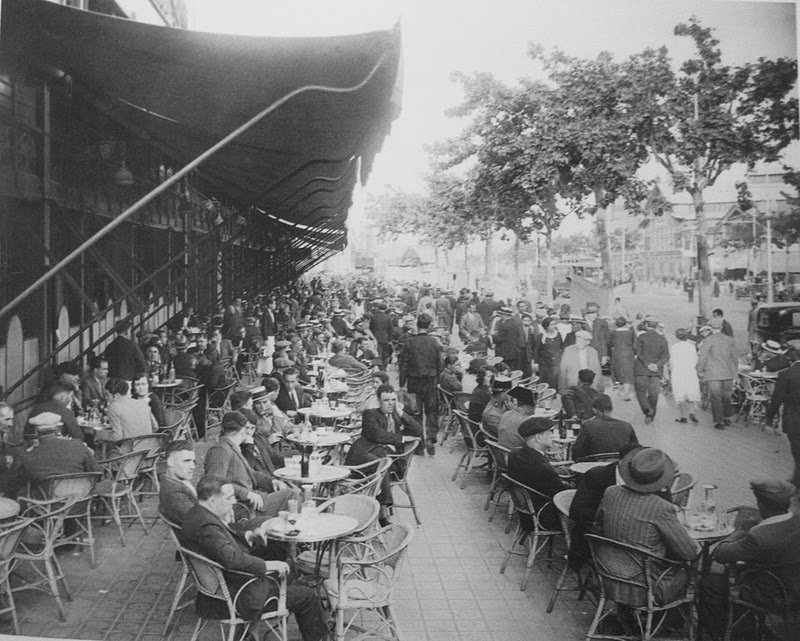 They populated La Rambla for nearly two centuries, such as can be seen in this pic in 1905 , or this more recent one . 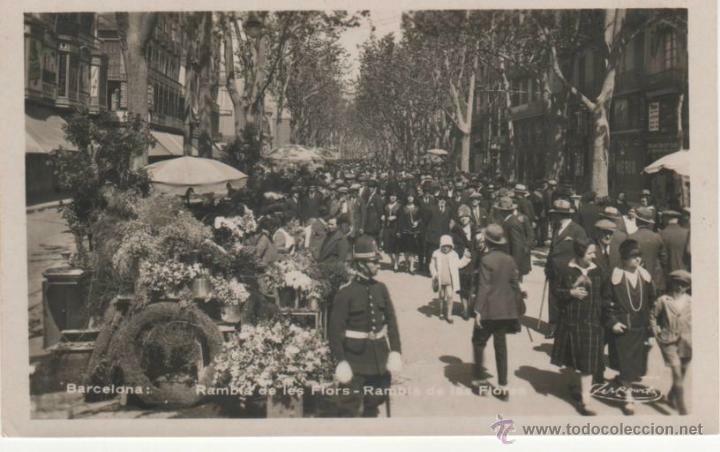 There's a reason why one of the stretches of Les Rambles was called "La Rambla de les Flors" (Catalan for the "boulevard of the flowers") but now only a few of them survive. In its place, stalls selling unrelated stuff, that should be in a shopping mall instead, have taken the boulevard. Yet, yes.... it's *a must* to pass by and stroll, it still has a bit of a flair indeed... but just to tick it off your list or if you're going to somewhere in that area. Don't keep your hopes too high. As per safety, Les Rambles is ground zero for pickpockets, so be aware of your belongings at all time. Poble-Sec used to be (still is) a working class neighbourhood full of factories in the 1800-1900s: https://upload.wikimedia.org/wikipedia/commons/b/b1/Paral-lel_-MCMV.jpg These factories gradually disappeared and the neighbourhood became more residential, as other parts of the city. During most of the 20th century, its main artery, the Paral·lel was the Broadway or the West End of the city with dozens of theatres and cafes and also cabarets such as the famous ﻿El Molino﻿. However, modern times have also seen the demise of this golden era and these days is not particularly lively, except for a couple of streets (ie Carrer del Blai) which are full of cheap tapas bars and the few remaining theatres in the boulevard. El Molino continues to exist but it's just a shadow of its former glory. Despite, those looking for a tapas bar crawl on the cheap, this is a place to consider. El Born... commonly referred to as a neighbourhood, or worst, a district... it's none of both, it's just a short 300 yards boulevard, located in the neighbourhood of La Ribera, in the district of Ciutat Vella (Old City). This was, much like Les Rambles, another key point of Barcelona's social life for centuries: fresh food markets, jousting tournaments (the name El Born derives from 'bornejar', Catalan -the local language-, for 'jousting'). Later, in the mid 1700s, the neighbourhood was severely crippled after the Spanish armies defeated the Catalan armies during the War of the Spanish Succession (1701-1715) and ordered the demolition of half of the neighbourhood to erect the biggest military fortress in Europe (at the time) to subjugate Barcelonians to the absolutist regimes of the Spanish (Castillians). It's recently, at the turn of this century, that when excavating the former fresh food market of El Born for renovation, very well preserved remains of the former neighbourhood have been uncovered. This can be now visited and are a key piece to better understand the history of this city and the constant quarrel between Catalans and Spanish. Worth dropping by. The neighbourhood is nowadays a maze of small streets full of mom&pop stores, tapas bars and restaurants and zillions of locals and tourists alike. Gràcia, another of the towns that were absorbed by the enlargement of Barcelona at the end of the 19th century. This neighbourhood has maintained the flair of a small town, with low-rise buildings (averaging 3 storeys max), narrow semi-pedestrianised streets and tree-lined squares full of terraces where life seems to be slower than elsewhere in the city. It's full of artists and has become a bohemian safe haven. Also, on Fridays and Saturdays is flooded with thousands of locals going out for a drink after dinner to its many bars and terraces. L'Eixample... the result of the enlargement above mentioned. This is a large district which englobes several neighbourhoods. It's designed on an efficient grid pattern with wide streets -most hosting several lanes of traffic- and possesses some of the most beautiful Modernista buildings in the city. The vast majority are private residences but a stroll looking at the intricate beautiful details of their façades is a must for any art lover. Full of hotels and restaurants. Conveniently located sort of in the middle of the city, just above the Old City. As per "best location", there's no such thing in this city as the 'attractions' (for lack of a better word) are spread across the whole city. While many visitors focus on a few spots -most notably, the Old City- but there are things to see everywhere (ie Torre Bellesguard, MNAC, Laberint d'Horta, Cosmocaixa, etc.) so where one's located doesn't really matter as you're bound to move about. What's key is to be well connected, so being close to a metro station is always very helpful. Fortunately, this city has a great public transportation system (bus/metro/tramways) which is efficient, safe, clean and cheap. Getting a T-10 travel card is a must. There are no unsafe areas in Barcelona -none that you or I'd be going anyway. Having said that, there are some less 'savoury' than others, of course (ie the lower part of El Raval, where the Red Light District is located). Despite we do have crime --it's a city, after all-- I hate to remind this, but we don't have guns or gangs here -you know what I mean!- thus most of the crime is "minor" so to speak. 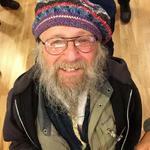 This website , from the City Hall, can help to better get acquainted with the different parts of this city. Check out http://www.timeout.com/barcelona it's pretty handy for going out. I always like to stay close to El Raval I once stayed close to the Torre Abadal (one thing to see) and is a nice area, quite and close to the center. Based on my experience, I would suggest La Rambla. It is quite safe, it has plenty of good restaurants, good ambience, and it is very close to take the Barcelona City tour bus at Plaça de Catalunya and to other interesting walking sites. We personally stayed at Hostal BCN Ramblas the hostal is clean, well located, and offered a pretty decent rate. Check it out on internet! Hope this helps! El Born Centre Cultural i de Memòria... We stayed at Banys Orientals. Hi, we stayed on the edge of the El Barri Gòtic on Via Laietana. Found this to be perfectly situated between all of the typical tourist sites and close to train stations. Its even a short walk from La Playa where you can take a bus to the airport. The hotel we stayed at was an H10 which I would describe as similar to a marriot courtyard. No "vacation" frills, but all the comforts you need in a safe, clean environment.